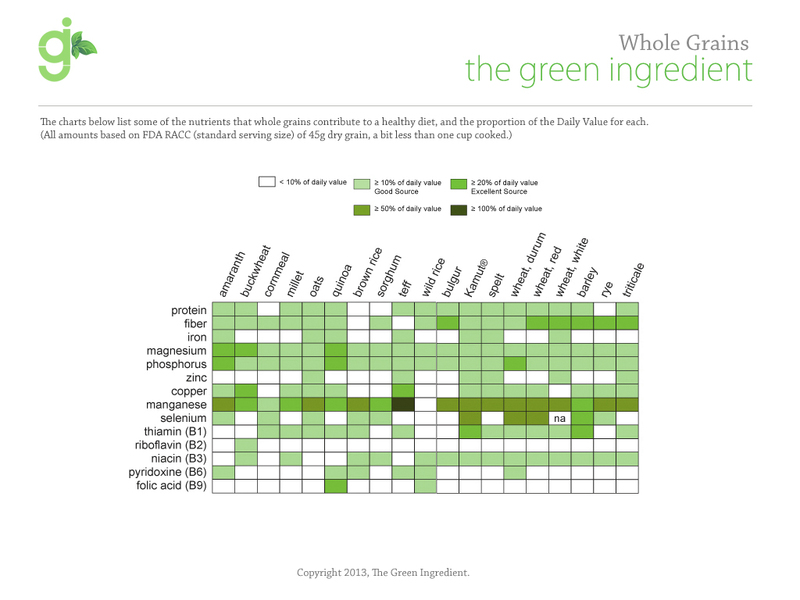 Recently we have started to see and hear a lot of information of products that claim had been made with whole grains. But truthfully, how many of us actually know what a whole grain is? Some products are presented as “whole wheat”, others as “multi grains” and others as “whole grains.” Media and product marketing play a key role here and unfortunately, misleading advertisement is the strategy of some large corporations who wants to maintain presence in the marketplace. Let’s try to clarify some concepts so we can make better choices when selecting our food. 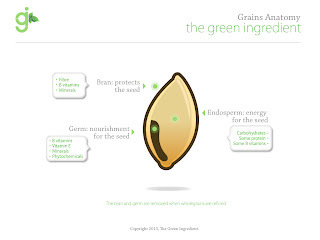 A grain is considered “whole” or “complete” when it has the 100% of its original kernel, or in other words, it still contains all of its bran, germ and endosperm. All these parts must be present for it to qualify as a whole grain. For example: When we eat corn (on-the-cob or just the grains) we are consuming a whole grain, because each individual grain is unpeeled (bran) and contains all its parts, endosperm (the “meat”) and the germ (you will recognize it). In contrast, white rice although a grain is no longer a whole grain but somehow a partially refined product, because the bran has been removed after been harvested. Grain’s anatomy. 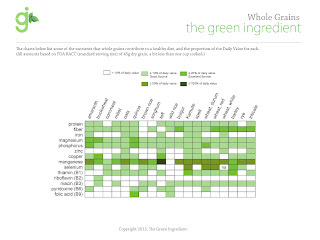 Now that we know what a whole grain is, and now that we are familiar with the names of several grains from the list above, it is easier to decipher the difference between “whole grain” and “whole wheat”: Since wheat is just another grain, “whole wheat” then means that the product uses 100% of the wheat kernel. But when a product says it has been made with “whole wheat”, don’t just trust what the marketing phrase says; it does not hurt to go ahead and check the ingredient list. Verify that the main ingredient on the product is actually whole wheat. But do not stop there! For example: When buying AP flour, always remember to prefer the unbleached type, staying away from the “enriched” and “fortified” varieties. Flour is one of the most highly refined products in the market, and white flour obtains its color after being treated with whitening agents such as chlorines and peroxides. The bleaching process removes not only the natural color but also most of the essential nutrients, which are later “added” back in the form of additives and artificial ingredients. I just saw this and want to say--beautiful! I find myself talking about grains, and the difference between them often because so many people have no idea what they are eating! I haven't been able to eat non-whole grains for nearly 10 years now. My digestive tract just says no and I am a happier healthier person for it.